Eheart Interior Solutions believes interior spaces are as much about comfort and identity as they are functional. Our passion for creating distinctive home and business interiors is reflected in our advice, craftsmanship, and service. Experience an interior selection process that guarantees you peace of mind, and the rooms of your dreams. To experience creating an interior solution for your home, make an appointment with one of our experienced Interior Designers or visit us in our Design Center showroom located off Harmony Road at the College/Harmony Intersection. Eheart Interior Solutions strives to be the premier Fort Collins interior design company. We service all of Northern Colorado including Loveland, Greeley, and Windsor. To expand our reputation as the foremost provider of affordable interior design solutions. To distinguish ourselves from the competition through exceptional customer service, a high level of professionalism, honesty, integrity, and design that is not only inspirational but personal. As Northern Colorado’s destination for anyone dreaming of a home makeover, our team is prepared to help make that new kitchen or bath, home office, basement finish a reality. If the home just needs refreshed with new paint, flooring, countertops, or window treatments, we’ve got it covered. Our Fort Collins showroom at South College and Harmony is conveniently located in the center of our service area including Fort Collins, Loveland, Windsor, Estes Park and Greeley. Back in 1979, Ken Eheart started a flooring installation business. This one-man company quickly grew into a full-service flooring and interior design company serving people throughout Northern Colorado. 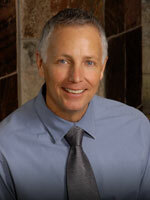 Fifteen years after Ken entered the flooring business, he purchased the Northern Colorado Flooring America franchise. This new relationship gave us access to the national buying power of more than 2000 store fronts. Then in 2003, following an extensive evaluation, Stainmaster® selected us to be the only Stainmaster Flooring Center in Northern Colorado. We were chosen based on our commitment to quality, outstanding customer service, and ethical business conduct. Flooring America also recognized us for our exceptional customer satisfaction by awarding us the Flooring America’s National Service Award in 2004, 2006, 2007 and again in 2008. This award is presented to the American or Canadian Flooring America store with the highest rating in customer satisfaction. We’ve been honored within our community as well. In 2005, the Northern Colorado Home Builders’ Association named us “Associate of the Year.” Our work has been featured in a number of award-winning “Parade” homes. We opened our showroom to Fort Collins in 2012. Our business in 2015 has been recognized as “Best of Colorado” Interior Design firm by Colorado Biz magazine.